Plan Your Lake George NY Vacation & Leave the World Behind for Adirondack Excitement! 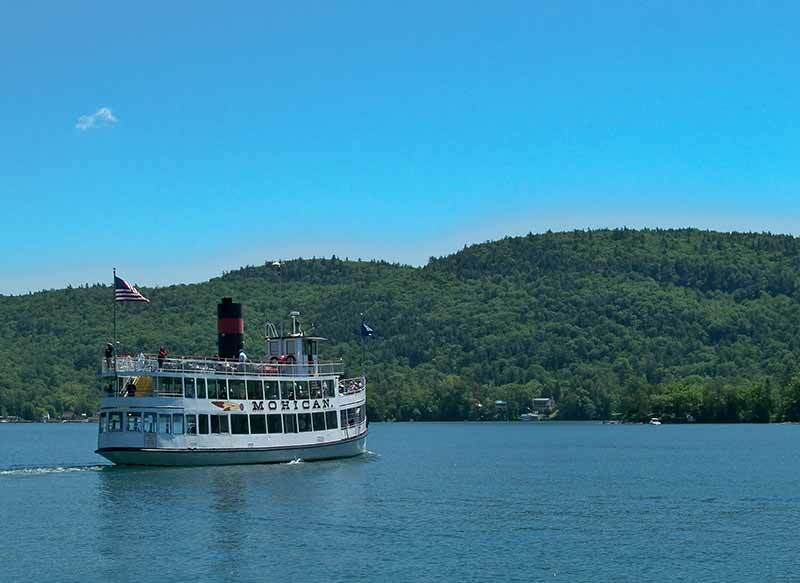 Your ideal vacation experience in Lake George NY begins with the lake itself, a thirty-two mile stretch of sparkling blue Adirondack excitement. The picturesque lakeshore village is a delightful blend of sights and smells filled with activities, attractions, historical sites and natural beauty. Visit the arcades and a scary Wax Museum. Learn the vital role Fort William Henry played in the Revolutionary War, and spend a day experiencing thrills and fun at the Six Flags Great Escape and Splashwater Kingdom. There are activities and attractions sure to please every member of the family. Watersports include parasailing, waterskiing, swimming, and fishing, but be sure to save time for horseback riding, golfing, and biking along scenic country roads. All of the Lake George vacation lodging, hotels and full-service resorts, motels, bed and breakfast inns, cottages, condominiums, camping and RV parks offer exceptional choices for your stay. Restaurants of every kind line the streets, including elegant gourmet dining rooms overlooking the lake, great delis and family-style restaurants. Once the sun sets, the nightlife in Lake George is lively. Visit a comedy club, or dance the night away in any one of a number of nightclubs, taverns, and bars overlooking the lake. Consider planning a Lake George destination wedding or honeymoon for an unforgettable experience. Lake George is a four-season community! A stunning autumn palette is just the prelude to a winter filled with great skiing, snowmobiling, snowshoeing, and the not-to-be-missed Lake George Winter Carnival! Lake George Village is just off Exits 20-22 of Adirondack Northway Interstate 87. It is only a half hour drive to the charming city of Saratoga Springs and less than three hours from Montreal.